#OHLIFEISGOOOD – Capturing Life at it's Bittersweetest! I just rebranded this blog.. We’ve moved to our new home – Mommy Wanders. 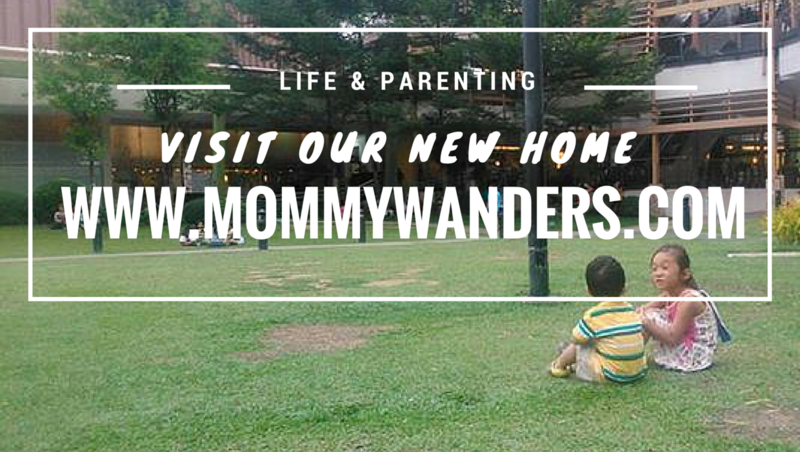 Catch up with us at www.mommywanders.com. See yah! So I am here to hopefully spread some love and share more happiness. Though I may write a few about sadness and express some hatred, I will try to keep this blog positive. I am optimistic and I like to inspire. I love to encourage and I easily get motivated. I try to keep my posts short BUT I can’t help that I write really long. I also love writing some rhymes and making a few poems. I’ve always imagined myself publishing my own books someday. Perhaps, books under the “inspirational” shelf or “children’s books” corner maybe. Either way, I love them both. Aside from being a frustrated writer, I am a frustrated photographer as well. I am fond of taking lots of photos, especially of my kids (and some selfies too haha) and I love to write a blog post from them. So naturally, you can read some posts based on a single photograph as I like writing my thoughts, generated from the sight of a photo or two, thus the line “Capturing life at its bittersweetest!” on my instagram account. By the way, this is my 4th blog which I set up early this year (2014), but only got pretty active by midyear and launched it publicly around October. If you’re wondering why my archives have posts dated back in 2013, well it’s because I exported some of my contents from my old blog. Again, quick update: We moved to a new home at Mommy Wanders, check it out! Oh there I go again, talking a lot. It seems my mind won’t stop dictating my fingers now. Alright, I’d better cut this here. Uhm. I don’t know how to end this properly but thank you for dropping by and I hope you enjoy your stay! Live YOUR life. Chase a GOOD life! I am very glad to have found your blog! You are a great mother, you are positive and an inspiration! Hi Rose, thanks for following my blog. Yours looks really inspiring, and your children are gorgeous! My kids and I have wandered to a new HOME. Catch up with our new adventures at our newest blog, Mommy Wanders - www.mommywanders.com . While the kids are taking a school break this summer, here I am taking a "Mother Break" 😂 We're staying at my parents house since last month and I'm so taking advantage of being a "daughter" here - getting up late while food is already prepared, and basically just be "lazy" around. 😂✌ Feels great to be home. 😄 Thank you, ma! ❤ Have you ever taken a #motherbreak?